A major new support and finance programme to help people take control of their local pub for the benefit of the community has been announced today (Wednesday 9 March 2016) by Community Pubs Minister Marcus Jones MP. More than a Pub: The Community Pub Business Support Programme is a £3.62 million, two-year programme that will see a comprehensive package of business development support, advice and loan and grant funding being delivered to community groups in England to help them establish community-owned pubs that can clearly demonstrate how they will bring significant social, economic and environmental benefits to their communities. Jointly funded by the Department for Communities and Local Government and Power to Change, the programme will be led by Plunkett Foundation and delivered in collaboration with leading organisations within the sector. The programme aims to support 80 community-owned pubs to open over two years and will offer a flexible package of support including access to an advice line, events, workshops, peer-to-peer study visits, and business development advice. It will also offer flexible bursary awards to fund very early stage activity, such as community consultation work, and a grant and loan package. One example is the Anglers Rest (pictured) in Bamford, Derbyshire, which was purchased in 2013 by over 300 people from the local area and is now run for community benefit. 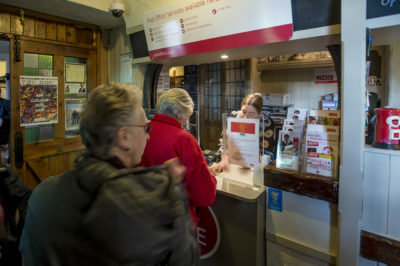 It not only houses the pub itself, but also a cafe and the local Post Office, and offers a much-needed community meeting venue, too. This has helped improve social cohesion and the regeneration of the village, and any profits generated by the Anglers Rest are reinvested back into the local community. The Great British pub is a national treasure and this new £3.62 million programme will give our communities support to keep pubs at the heart of local life. “The Great British pub is a national treasure and this new £3.6 million programme will give our communities support to keep pubs at the heart of local life. “We have already abolished the unpopular beer and alcohol duty escalators, cut business taxes for pubs and given people the power to list their local as an asset of community value. To find out more about the programme please call the programme advice line on 01993 810730 or visit www.plunkett.co.uk/more-than-a-pub. 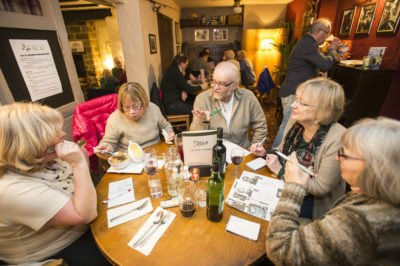 More than a pub: The Community Pub Business Support Programme is a unique two year programme established to help support community ownership of pubs in England. Its value is £3.62 million and is jointly funded by the Department for Communities and Local Government and the Power to Change Trust. This exciting programme will be led by Plunkett Foundation and delivered in collaboration with Co-operative & Community Finance, the Campaign for Real Ale (CAMRA), Co-operative Mutual Solutions, Pub is the Hub and Locality. 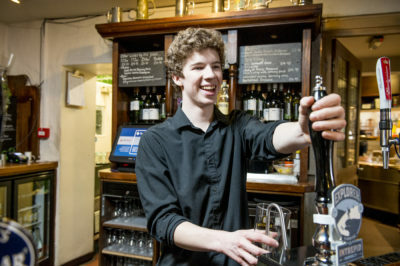 For the first time it will offer the community pub sector access to an end-to-end support programme including capacity building and a finance package made up of loans and grants. Plunkett Foundation (www.plunkett.co.uk) helps communities to take control of their challenges and overcome them together. We support people, predominantly in rural areas, to set up and run life-changing community co-operatives; enterprises that are owned and run democratically by large numbers of people in their community. They help people to tackle a range of issues, from isolation and loneliness to poverty, and come in many forms including shops, cafes, pubs and land-based initiatives, and everything in between. – Started in 2015, Power to Change is an independent charitable trust endowed with £150 million from the Big Lottery Fund to grow community business in England. – The Big Lottery Fund supports the aspirations of people who want to make life better for their communities across the UK. We are responsible for giving out 40% of the money raised by the National Lottery and invest over £650 million a year in projects big and small in health, education, environment and charitable purposes. – Since June 2004 we have awarded over £8 billion to projects that change the lives of millions of people. Every year we fund 13,000 small local projects tackling big social problems like poor mental health and homelessness.